Not that it necessarily guarantees anything in itself, because as we all know as anglers, fishing very often doesn’t go to plan. But with the river high but falling, it certainly looked good. And so with that in mind I set off for the local middle reaches of the Severn. Although it was midweek I was still surprised to find that there was just one other vehicle on the car park and I met the anglers some time later. 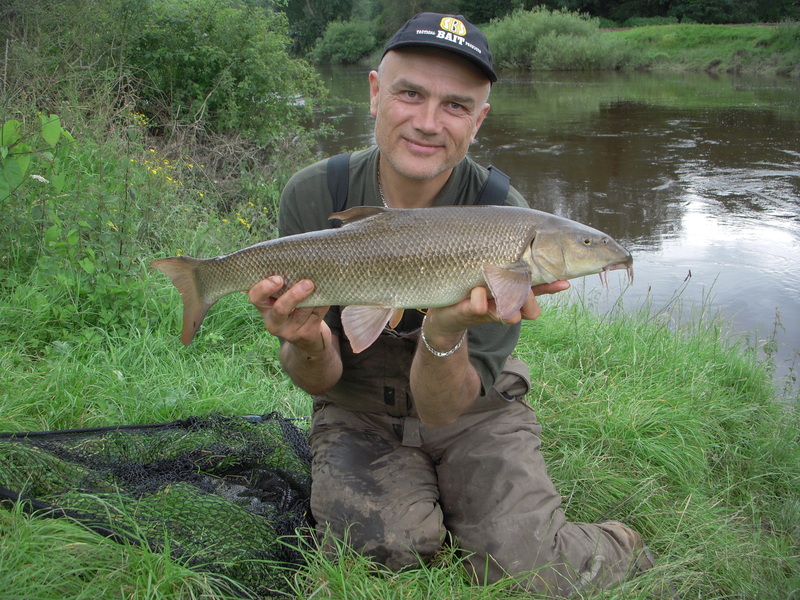 They had travelled to Shropshire from Devon for a couple of days on the river and had already had one barbel each before I arrived. I know this because they introduced themselves and had decided to fish that particular section because they had seen some of my stuff on the Internet. Being recognised from my Angling Journal happens on such a regular basis these days. The power of the Internet eh! Anyway the Devon anglers had gone by the time I packed away so I hope you caught a few more if you’re reading this! I chose a nice comfortable swim and settled down for an afternoon’s fishing. I mention my rigs on a regular basis, either on video or in the article, so there’s no need to repeat the details of what is a pretty standard set-up. The only difference was that I was using mono (Drennan Double Strength) on one and braid (Korda Supernatual) on the other. 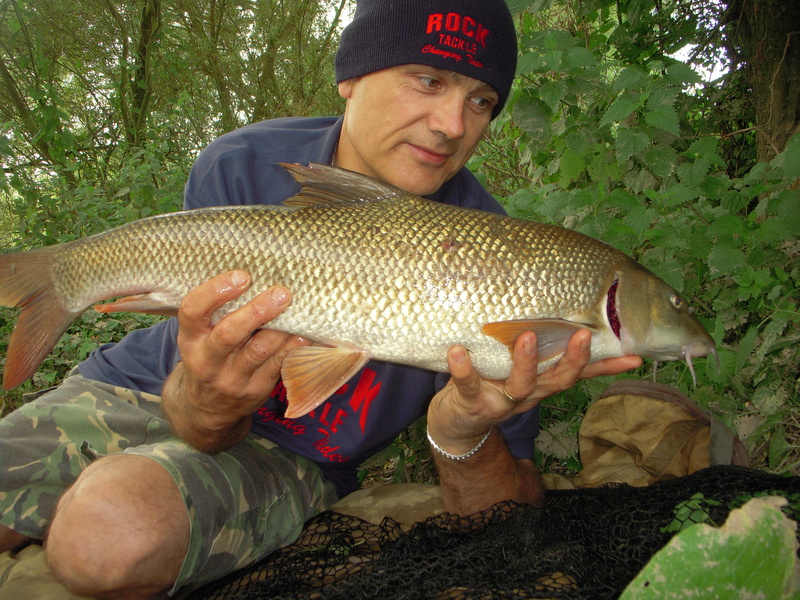 The former was fished with a 12mm M2 boilie and the latter a piece of Undercover Barbel Stix. Both rods were cast out with PVA bags of pellets and bait with a few loose offerings thrown in by hand. I was only fishing a couple of lengths or so out. I had a great take early on but after a short time hookpull won the day. So when the rod lurched again a while later I was really hopeful it wasn’t going to be groundhog day. It wasn’t. 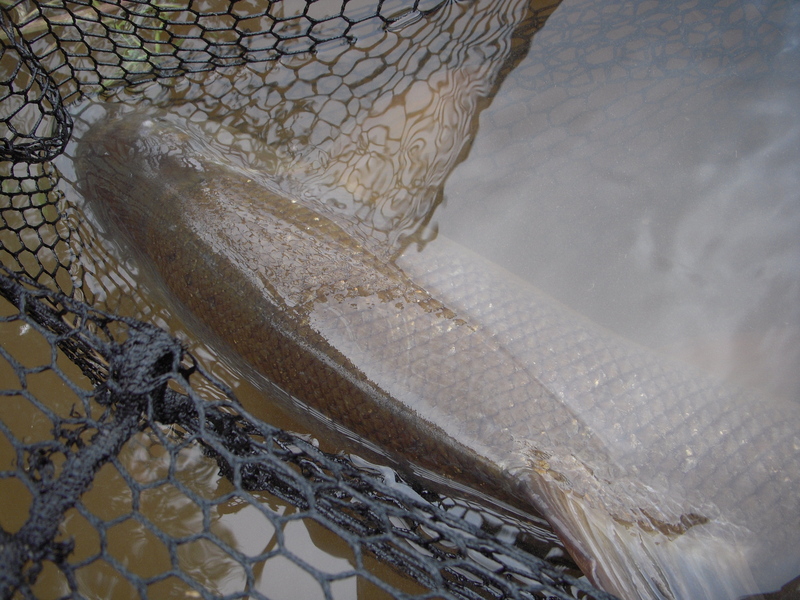 One thing that needs to be said about barbel is that they need to be fully rested before returning. They give everything in the fight, as you will know if you’ve ever caught one, and as such often need to be nursed in the margins. I keep mine in the net and hold it if necessary, but above all make sure that once it goes back it swims, as opposed to going belly-up and drifting off downstream to a likely death. And you certainly don’t throw them back in from the top of the bank as I once saw an angler do on the Dove. 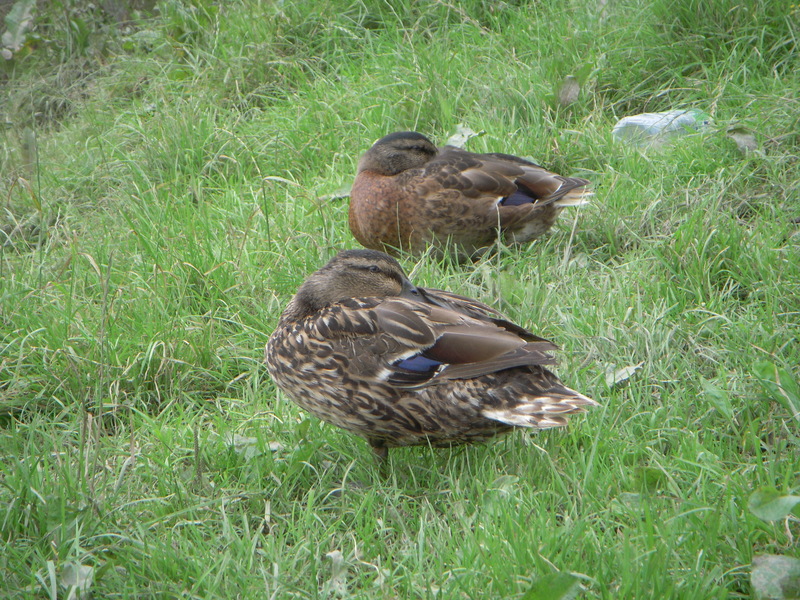 It wasn’t long before I had a couple of female mallards come out of the river and settle next to me. So settled in fact that they decided to have a snooze. Occasionally their eye would open, particularly if I made a sound, but basically they dozed off. I have mixed feelings when this sort of thing happens. The birds are my friends! On the one hand I feel blessed that they trust me and obviously feel comfortable. But then I know that not everyone is kind to animals and I’d hate for something to happen next time because they thought all humans were gentle towards them. 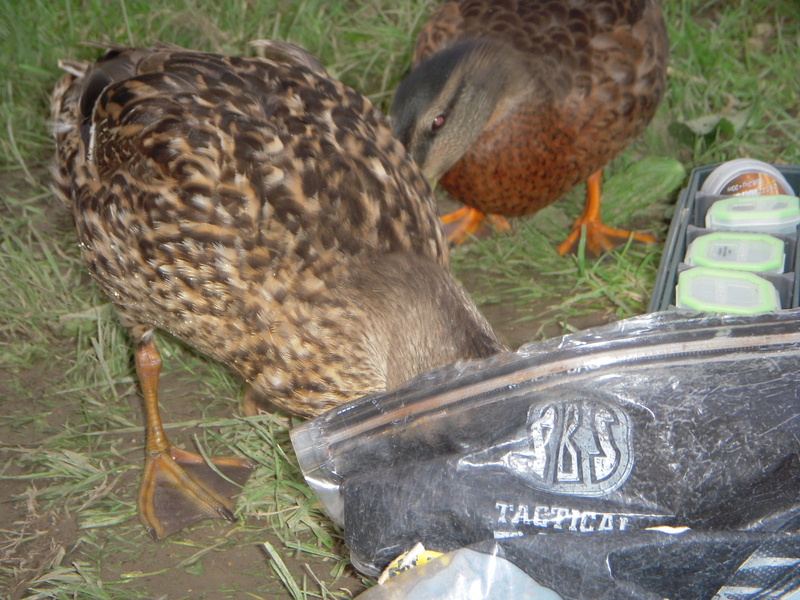 But as far as I was concerned they definitely made themselves at home, even to the point of helping themselves from my bag of pellets! On one occasion while I was fishing a gravel pit I actually had a pair of very friendly mallards come into my bivvy and settle down to roost! I don’t know what passers-by would think but I do find myself talking to them like I would a person. But then again isn’t that what we do with our pets at home? Nothing wrong with it. It’s when you start to get replies that you need to worry! I ended the session with a few fish including a couple of decent ones, so on this occasion the potential that the river showed was realised. As someone who knows only full well what a blank looks like, I certainly appreciate the sessions when it does come together. As far as the bait ratio was concerned I had all my fish on the M2 but did have a hookpull on both. 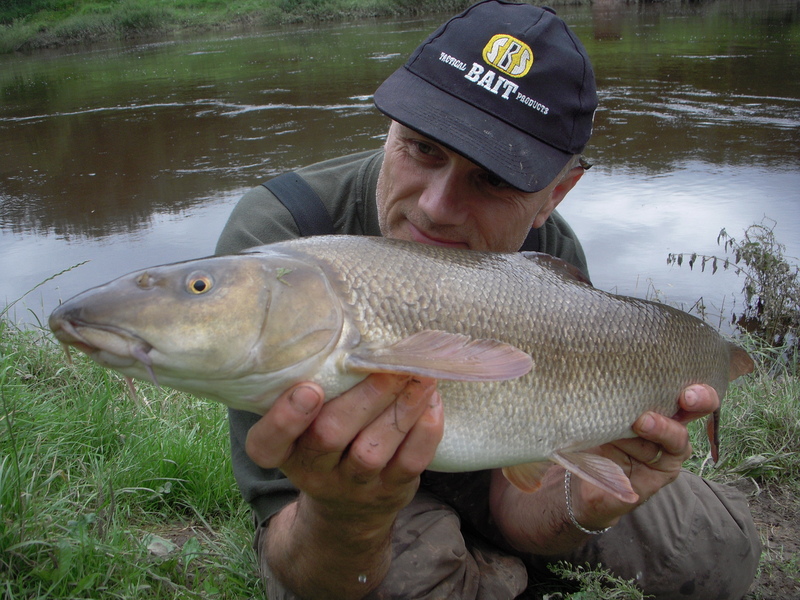 But you can’t necessarily read anything into that as the M2 was the bottom rod and so had the benefit of being the first rod that barbel would encounter as they made their way upstream, lured in by a trickle of bait. To give you an idea of the size of fish I caught the final photograph from the session was of the smallest fish. It was actually taken by the bailiff, John Hayes, as he was passing at the time and offered his services. And I mention his name because yes he is a relative. It’s his dad. I’m sure you can work out who I’m referring to! Anyway I had a great time by the river and on the way back home saw a badger. I’m not at all in favour of the cull that will be taking place by the way. The only hope for the badger is to give the gun to Emile Heskey. I stayed on the Severn for the final session in this week’s article, but headed some miles downstream. At one time, the expression ‘The Severn below Worcester’ was almost as well-used in barbel circles as ‘The Ouse above Bedford’. And while the latter has dropped off somewhat in terms of big-fish talk, the former is good news in the sense that the middle has caught up. It was a beautiful day and I set up in bright sunshine wearing just shorts and a polo shirt. I was there for the night and as a definite dry spell was ahead I didn’t bother with a shelter, just a bedchair next to the water’s edge. I put the first rod out and while I was setting the second one up I had a screamer. I wasn’t expecting it and it took me a second or two to realise what was going on. 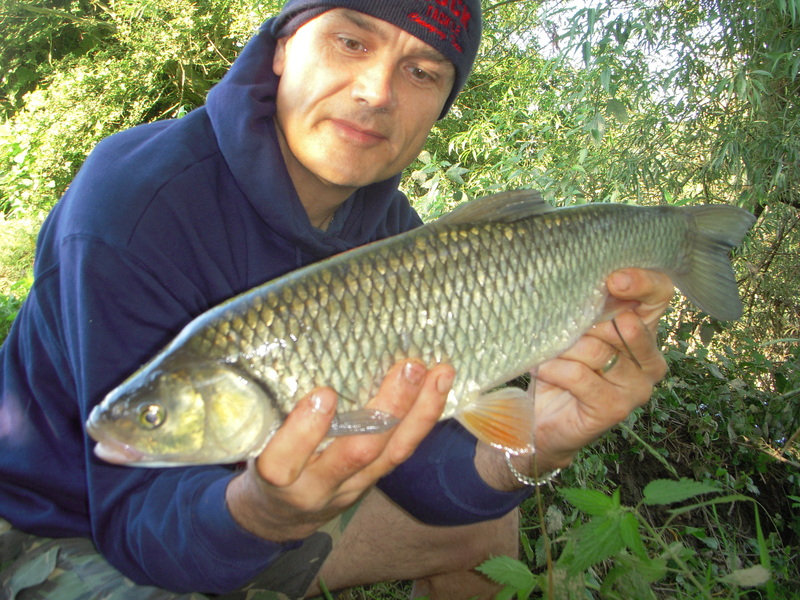 I had a barbel on the end heading towards Tewkesbury like there was no tomorrow! In the net I noticed it had a spear-like wound on one side. I am definitely getting more fish of all species these days that are carrying fresh evidences of nasty encounters with other creatures. It was feeding well though and swam off fine. Hopefully it will survive and the wound just looked nastier than it really was. A great start, and as the sun set I wondered what the night ahead would bring. 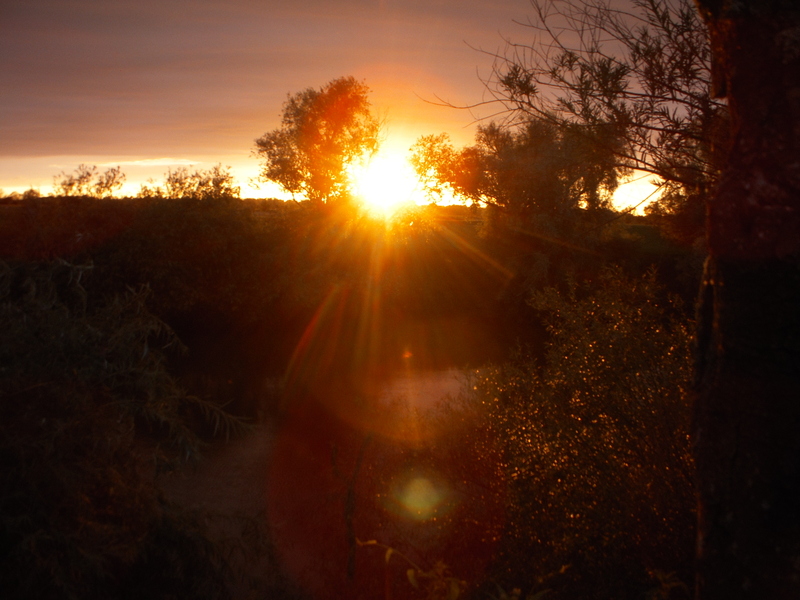 It was a beautiful sunset that was so powerful it dazzled my little point-and-shoot camera. But after all the adverse weather we have had so far this summer I wasn’t complaining. My tackle set-up was pretty similar for both rods in that I fished with a fixed lead secured with a power gum knot so it was safe. Hooks were size 7 Big T Raptor with Korda Supernatural braid hook length. 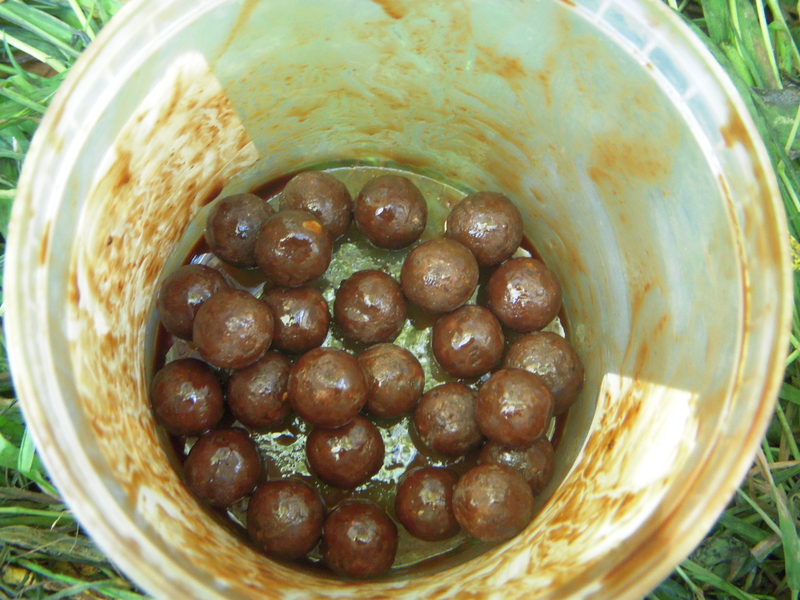 Bait was a single hair-rigged 12mm M2 boilie. I soak them by putting a few in a tub and pouring M2 dip over them, giving them a good shake and then leaving them to draw in the flavour. I added a few to the PVA bags as well as M2 pellets and threw several out by hand as I was only fishing one-third of the way across the river. After the optimism of my early fish, the night was quiet. In fact it was one of those sessions where the river itself was dead. No fish crashed, nothing. This applies to any river of course, but if you’ve ever fished the lower Severn you’ll know what I mean. It’s like a cemetery sometimes as far as activity is concerned. But I did have a take in the morning as I was ready to pack away and netted a chub. I decided to reel my other rod in, which was over the prime spot, to find out the boilie had gone. Well, you’ll never catch without a bait will you! I guess small eels were the culprits although I didn’t see any evidence of rod movement during the night. 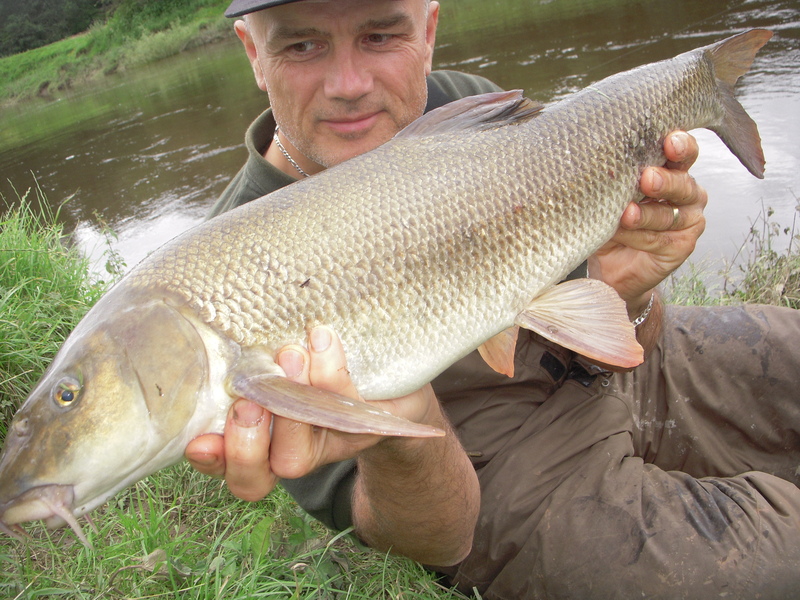 At least I wasn’t a barbel blanker though and for the lower Severn, that’s definitely something to be thankful for. If you’ve enjoyed the article make sure you visit my website HERE as WordPress is just where I publish the weekly articles. There’s more stuff on my site including links to my facebook page and twitter account. I post all the links to the weekly articles on there and other angling-related stuff during the week, including updates from the water’s edge. Obviously you can’t tweet if your fishing involves catching a fish every two minutes but the sort of angling I do means I usually have lots of time between takes!